Q-Tip dangers on HBO’s Girls: Wait, is there any good reason to use Q-tips to clean your ears? Should You Use Q-Tips to Clean Your Ears? 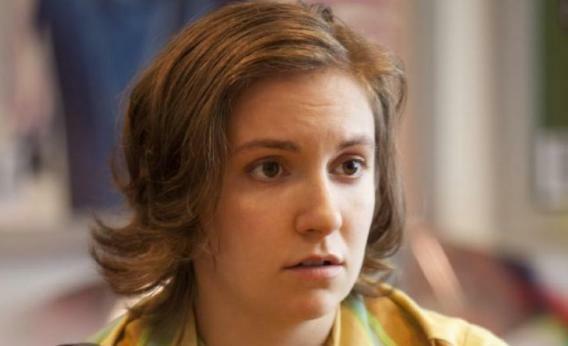 Hannah Horvath (Lena Dunham) had a bad experience with Q-Tips on last night’s Girls. Last night’s episode of Girls featured an excruciating scene in which Hannah, grappling with OCD, inserted a Q-Tip deep into her ear canal and “heard air hiss out the hole” she’d apparently poked in her ear drum. Later, show creator Lena Dunham, who plays Hannah, tweeted: “If all I’ve done on this earth is scare you out of using Q-Tips, I will die a happy and purposeful woman.” Is Dunham right? Should you really not be using Q-Tips? There is a proper way to use Q-Tips and there is an improper way. If you’re putting them in your ears, you’re using them the improper way. Even Unilever, the company that makes the cotton swabs, warns that, when using them to clean the ears, you should “stroke … gently around the outer ear, without entering the ear canal.” The word “ear” appears only eight times on the Q-Tips website, which emphasizes the cotton swab’s non-aural uses: From polishing your silverware to “cleaning the small crevices of your dog or cat’s face,” it seems you should do anything with a Q-Tip but put it in your ear. The problem with removing earwax (by Q-Tip or any other home remedy) is that earwax serves important functions: It is a lubricant, a defense against foreign objects, and even a natural antibiotic. Earwax becomes a problem when it is packed into the canal and hardens, causing “impaction” (or blockage), and evidence shows that Q-Tips can cause impaction. A person suffering from impacted earwax may experience pain, dizziness, a ringing in the ears, or hearing loss. * If you have wax impacted into your ear canal, you should see a doctor, who will remove it under a microscope—perhaps using suction or bursts of water. Dr. Felipe Santos, of the Massachusetts Eye and Ear Infirmary,** mentioned that, for those experiencing wax buildup, it can help to put a couple drops of baby oil in the ear once or twice a month, but he seconded the other doctors I spoke with who affirmed that the best option is to see a doctor. Thanks to Dr. Daniel H. Coelho of Virginia Commonwealth University Medical Center. **Correction, March 12, 2013: This post originally misstated the name of the Massachusetts Eye and Ear Infirmary.